Apple retail store managers have been informed that all models, colors, and configurations of the iPhone 7 will be available for walk-in customers on Oct. 8 after an international freight logjam holding up arrival of the devices by container ship was partially cleared up. AppleInsider has been told by multiple sources in the Apple retail supply chain gradual improvements in the stock condition across all of Apple retail are expected "shortly," with the iPhone 7 situation clearing up first. A mass infusion of stock is expected in the beginning of October, leading to full shelves by Oct 8. "Customers still should reserve online first," we were told. "Just because we'll have stock, doesn't mean that we didn't get cleaned out for the day an hour before you get here." 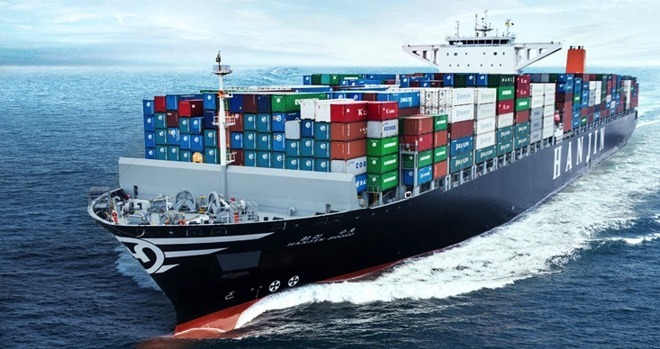 AppleInsider has seen documents proving that the ongoing Hanjin freight company bankruptcy backing up international shipping delayed some containers full of iPhones and assorted Apple Watch models from arriving prior to the Sept. 16 availability. We have been told that an "unnamed tech company" has paid for some of the outstanding shipping port fees on the U.S. Pacific coast for the Hanjin-owned vessels to allow docking, and offloading of Apple's held-up cargo. Regardless of more iPhone 7 family phones arriving in the U.S., other big-box resellers aren't seeing improvements in delivery times as of yet. Just before the release date of the iPhone, Target and Best Buy informed many buyers that their pre-order would not arrive for launch, and many of the orders have still yet to ship. Additionally, we polled the same Target and Best Buy stores that we did on Sept 16, with no stock of any of the new Apple devices available at any location. Employees asked about the situation directed us to the websites of the retailers for more information and ordering.